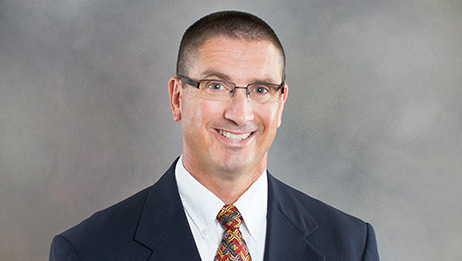 Ray Kargo MSPT joined Guilford Orthopaedic and Sports Medicine Center as Physical Therapy Director in September of 2012. Ray earned a Master of Science in Physical Therapy from the University of Miami, Coral Gables, FL. He also holds a Bachelor of Arts dgree in Psychology from Lebanon Valley College. Ray has been managing physical therapy centers since 1996. He has most recently been the Manager of Physical Therapy at Hand & Rehabilitation of NC in Greensboro. Ray previously managed outpatient orthopedic PT and Sports Medicine centers for HEALTHSOUTH Rehabilitation of Richland and also for Lifestyles Orthopedic and Sports Rehabilitation in Johnstown, PA. Ray has been practicing physical therapy since 1994 with all of his experience in the outpatient orthopedic setting. Ray lives in Greensboro with his wife and 3 daughters and enjoys coaching AAU girls basketball and officiating high school varsity basketball games throughout the Triad.